This is going to tax him a bit. Whether Union finance minister Arun Jaitley prefers to become a kind-hearted Santa or a strict penny-picking treasurer, he shouldn't touch upon at least the following issues in his Budget speech tomorrow. There are suggestions that in lieu of relief in income tax exemption, expenditure over Rs 20,000 (excluding medical expenses) should be taxed at one per cent. Don't be amazed. Expenditure tax is not new. Under the 1957 Expenditure Tax Act, tax on bills in expensive hotels and restaurants is still in force. If Jaitley levies this tax, in any case he won't be the first minister to do so. In 1957, the then finance minister TT Krishnamachari had introduced this tax for the first time. Morarji Desai, finance minister in 1962, had abolished it, but it reappeared in 1964. In 1966 it was given a farewell again. In 1979, Chaudhary Charan Singh tried to bring it in. However, he wanted to make it an alternate to income tax, and there was no consensus over it. Although this tax never garnered much revenue. Why this tax should not be in India? As India taxes income (income tax) and consumption (excise, customs and service tax), a levy on expenditure would mean curb on consumption and demand. Taxing expenditure is a retrograde step. We must hope Jaitley won't opt for it. The idea of this tax is no more a rumour. Out in the open it is that chief minister's committee on digital transactions, headed by Andhra Pradesh CM Chandra Babu Naidu, has suggested this proposal to Jaitley. However, before considering this tax, Jaitley must consult the former FM P Chidambaram, who had introduced the banking cash transaction tax (BCTT) in 2005 with a lot of enthusiasm. Initially, this tax was put on cash withdrawal of Rs 25,000 and later the limit was extended to Rs 50,000. Although Chidambaram had described this tax as a successful move to detect the sources of black money, he withdrew it in 2009 after failing miserably in revenue collection. The expenditure tax argument applies here as well. As income and consumption both are being taxed already, taxing withdrawal of fair income is simply unfair. Let us hope that Jaitley do not add to political damage by imposing this tax. STT had been levied on retail purchase and sale of shares in 2004. Tax data shows that every year, on an average, Rs 6,000 crore worth revenue goes to the government's coffers through this tax. As the buzz goes, Jaitley intends to increase the STT this year. However, the statistics show that the revenue from STT is declining in proportion to increase in income tax. 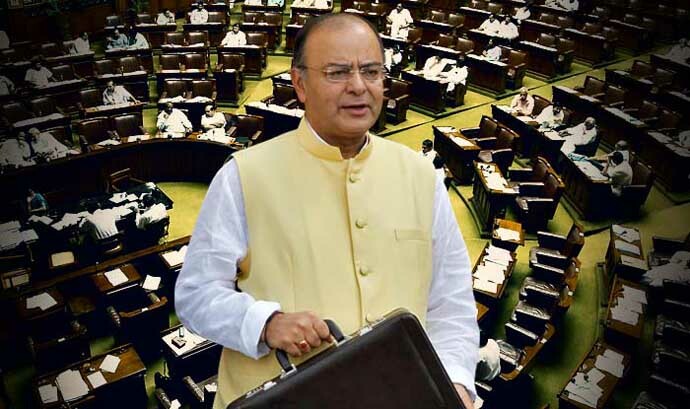 FM would do well to make it a part of the short-term capital gains tax, which is payable at the rate of 15 per cent on investments in the stocks for a period of less than a year. Abolition of STT would encourage retail investors to invest in equities. FM should refrain from hiking service tax in this budget, if GST is implemented by July. It should come along with the GST, when the manufacturers and merchants will have the facility of credit (refund of tax paid) for the same. Hiking service tax in this budget will push up inflation and will further dwindle the demand which is already in poor shape due to demonetisation. Still, if he has to tinker with service tax, he should increase the exemption limit for small businesses (annual turnover up to Rs one million) for them to get over the demonetisation blues. Now, a real wish. And finally, if Jailtley is hell-bent on levying a tax, inheritance tax is an idea worth trying for. This tax was started in India in 1953 and was withdrawn in 1985. According to a recent report by Oxfam, just one per cent of the Indian population own a whopping 58 per cent of property. The country has 57 billionaires whose combined wealth is equal to that of the country's 70 per cent people. Studies show that during the next one decade new generation of super riches will soon take over the mantle from the oldies. The inheritance tax on the transfer of wealth may generate substantial revenue for government. Also, this idea sits well with the pro-poor narrative of Modi Sarkar.